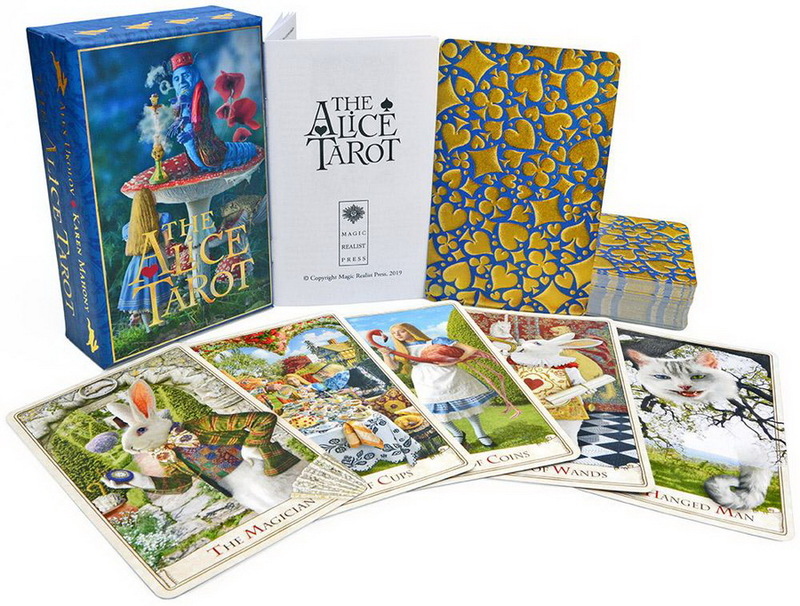 The Alice Tarot second edition will be printed in a small run of about 1600 only. It will not be produced as a mass-market deck and it will not be available via mass-market sellers such as Amazon and chain bookstores. - 78 fully illustrated cards, 128 * 78 mm (about 5 * 3 inches) plus an "extra" card, The Lovers (so there are two alternative Lovers cards in each deck), and a title card (80 cards in all). - "Metallic ink overlay" - in fact, this is actually put under the varnish, so it does not wear off. It's also technically a plastic so does not cause any metal sensitivities when handled (we have been asked this so hope this clarifies). 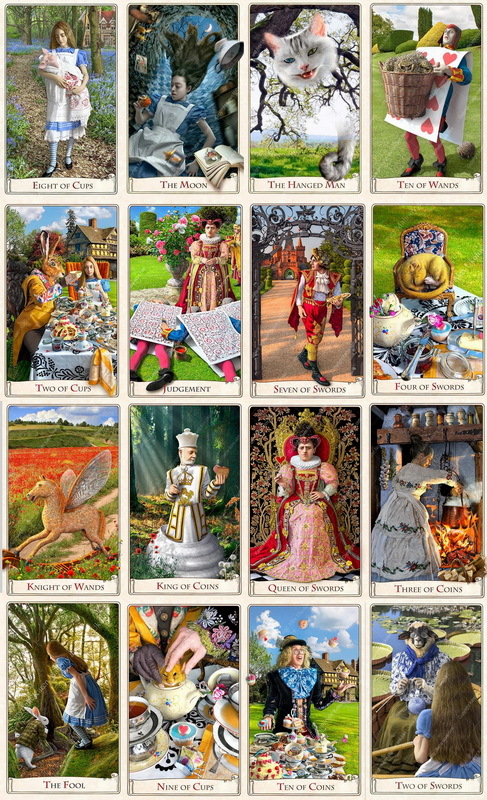 - A few minor adjustments from the original deck - we are not planning any major changes. - New back based on a 1930s "cards" watercolour in our own collection - the back has beautiful gold cold-stamping and is quite spectacular. - Printed in Europe on high quality 300 gram playing card stock with a carbon inner layer to protect against bending and creasing. - Lightly varnished for durability without a plastic feeling - the finish is very matte so that there is a great contrast between the general finish and the cold-stamped areas. - Sturdy hinged box for long-term storage. 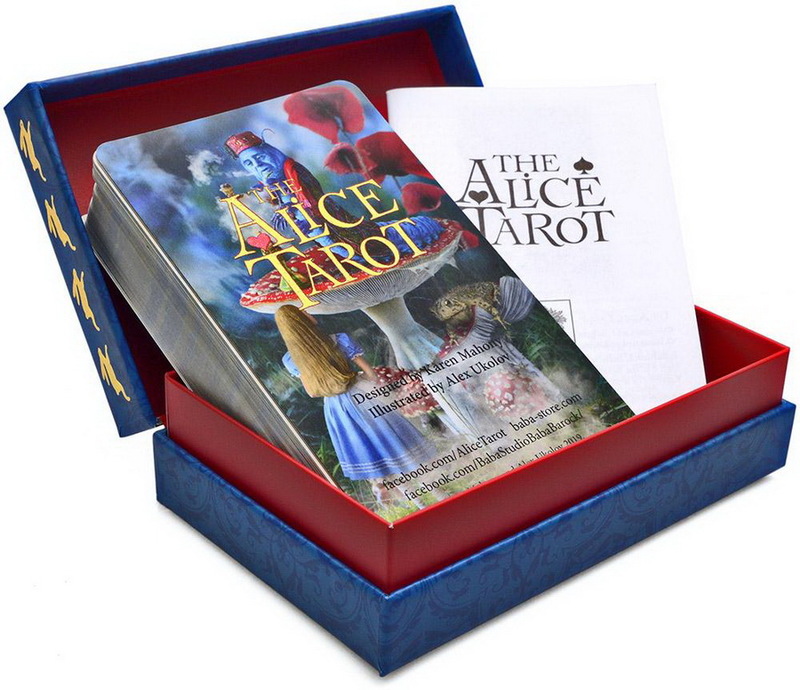 The second edition box is gold-foiled and is a new design. - Booklet with meanings and guide for use. 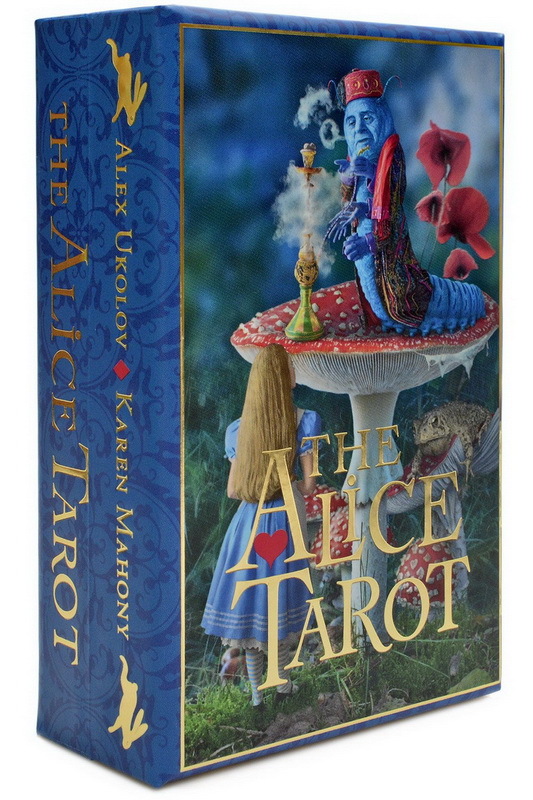 - Extensive and highly-illustrated companion book - now with coloured card illustrations! 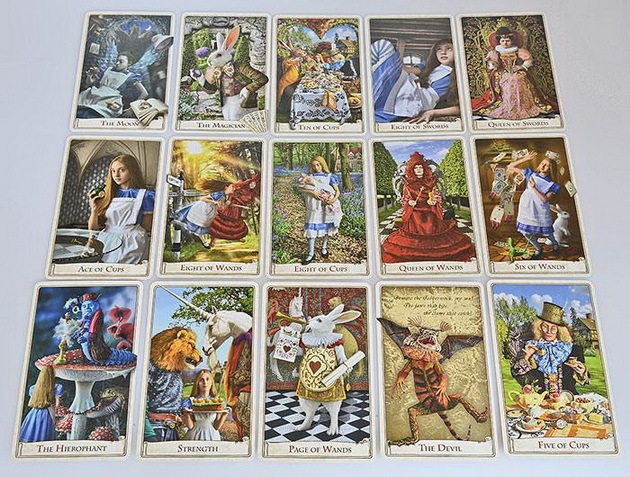 - Limited edition Alice Tarot bags — with prints from the cards, special vintage and/or new high-quality natural fabrics and with special "Alice" brass charms.